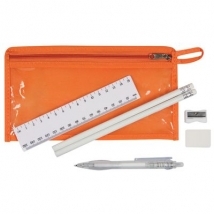 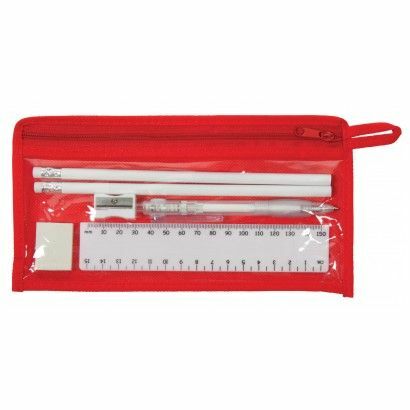 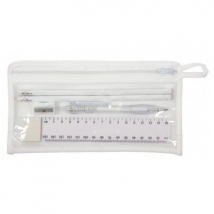 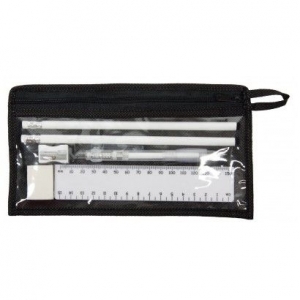 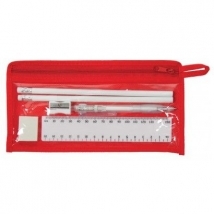 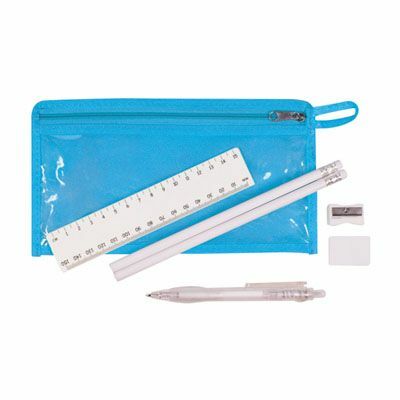 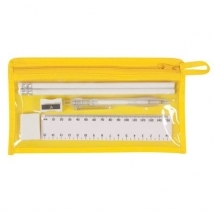 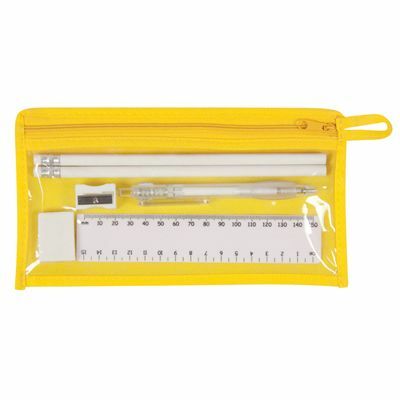 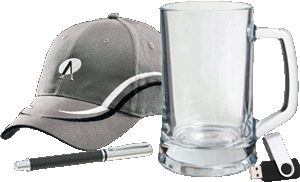 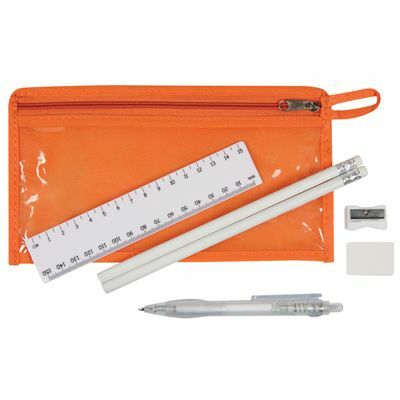 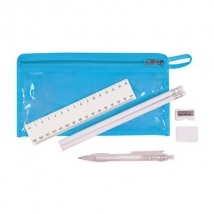 Stationary set in non woven & PVC zipped pouch. With ballpoint pen. 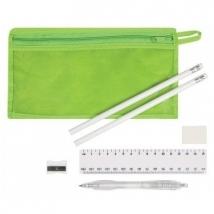 2 x HB pencils, 15cm ruler, eraser & sharpener.